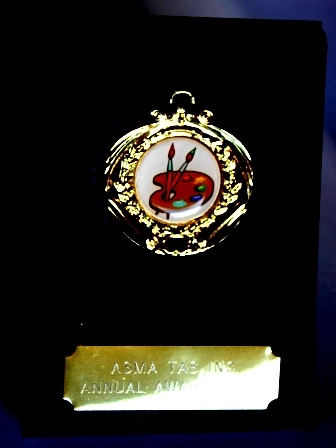 I was proud to be presented with a gold medal for the President’s choice at this exhibition. If in Launceston you must have a look at the Australian Society for Miniature Art 2012 Annual Exhibition. Such variety this year and our artists are very skilled. Little treasures to hold in the hand, or display individually or as a group on a wall without needing a big space. 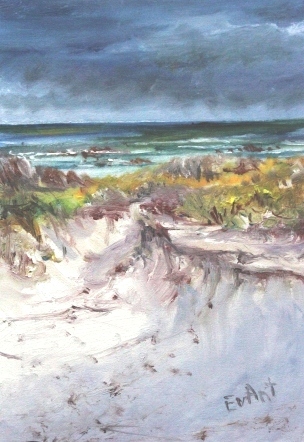 This entry was posted in art, miniature art, seascapes, Tasmanian artists and tagged landscape painting, miniature, oil painting, sand dunes, seascape, sky, Tarkine, Tarkine Coast, Tasmanian art, threatened wilderness, West Coast Tasmania.